Key West is free from Red Tide no matter what the doom and gloom media reports tell you. September 21, 2018 – There is no red tide in Key West waters. Once again I find myself using social media and Bloggs to correct what the morons in the media tell everyone as they try and totally kill our tourism here by talking about things they do not know. Our waters are pristine and full of life. Flats fishing for tarpon in Key West. We are experiencing one of the best backcountry fishing and flats fishing years in many. I think its thanks to Hurricane Irma from last year for stirring things up. 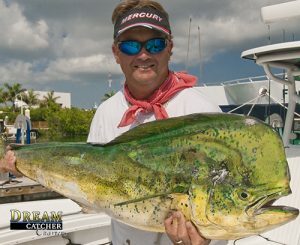 Our inshore and reef fishing are absolutely amazing. I was out yesterday on my flats boat bonefising our of Sugarloaf Key with Capt. 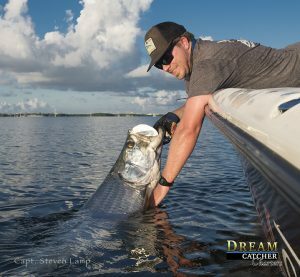 Rob Harris and was commenting to him about the Huge and I mean HUGE schools of fingerling mullet we are seeing here in our shallows as we were driving through monstrous muds that are created by the mullet doing their thing. Just as far as the eye can see acres and acres of baitfish making birds, jacks, barracudas, sharks and tarpon happy. We are already seeing good size trout and the water temps are still in the upper 80s. I have written in the Key West fishing report several times how amazing our bonefishing has been this year, nothing has changed. The West Coast of Florida IS dealing with a Red Tide. Ft Myers, Sarasota, Venice, St Pete are all places that have been affected and its truly tough there. Red tide in those areas that are some 150 miles from Key West is a natural occurrence that has been mentioned in historical accounts going all the way back in the 1600s. I am from the St. Petersburg area and in my life there I can remember seeing the effects 4 or 5 times. NOTE::: I am NOT in these areas. DO NOT take my word for the Red Tide in these areas.. Call someone there that is a fishing guide, tour guide, water sports person, beach person or hotel. They will tell you better than anything to help you plan your vacation. — don’t listen to the media. The media does what it wants without any concern for the affect of its information. Just as long as it provides shock, horror and fright to get ratings, sell ads and keep you tuned in. From the majors right down to your local news the media thrives off your concerns. Whats amazing is these days they don’t even have to be accurate, especially when it comes to things like science, weather or political speculation. Its absurd and a travesty. Unfortunately most of the folks that the media caters to don’t step outside long enough to see if its raining, don’t take the time to research well enough to see if they are lying and certainly don’t know science well enough to question what they are saying, so they just take it for what it is. Every Hurricane no matter where it lands is going to be the worst thing ever and it will probably wipe out Key West. They make the actual event of a storm seem 10x worse that it is to keep people scared and tuned in. Lately a trend in the forecasting has the meteorologist hinting that the storms are getting worse, or more numerous due to climate change. I remember back in the storms of 04 and 05 the media said it was the new norm and would get worse. Storms like Katrina would be a yearly experience. Then we went 12 years without a major event. Last year Hurricane Irma was a massive, devastating category 4 Hurricane that made landfall in the Florida Keys. Key West was ruffled up a bit with some storm damage. The rest of the Florida Keys took it in the chin pretty hard. BUT.. We were Not wiped out by any stretch of the imagination and Key West was able to be back in business within 45 days (we had our first cruise ship in port in just over 30 days). Thanks to the Media it took much longer for the island city to start generating income as they were being told Key West was wiped out, the bridges had collapsed, the water was poisoned, humanitarian crisis, even into the new year. The media doesn’t care about our businesses, they only care about their ratings – doom and gloom brings ratings and sells ads. Hurricanes are not new. They have been a fact of nature long before the affects (if any) of man on this planet. Massive storms are not new the 1800s had plenty of them. Don’t listen to the media. Key West deep sea fishing for dolphin. Here’s me holding up a nice dolphin caught on board my 36 ft Yellowfin. The red tide is no different. They are trying to put a painful event on another huge Keyword like Key West. Nobody wants that to happen.. So, you stay tuned to see if it will. The oil Spill is another event that supposedly wiped out Key West reefs, beaches and tourism back in 2010 and we never got a drop of anything except a drop in our tourism for fear of oil soaked beaches and dead reefs – thanks to the media. Even to this day I get questions from my anglers asking me how we did (8 years ago) in the awful oil spill. — Don’t listen to the media. Stop Listening To The News.. Pick Up The Phone And Call! These are the same people who are saying Global Climate change is an imenent threat. They cannot even get a current event right, why do folks listen to them about speculation? – don’t listen to the media. Next time you hear about anything affecting Key West – Call us.. any of us in the 305 (thats an area code) and ask questions. See if it is real. make your plans off the reality of what is, not the babble of some idiot in front of a camera. We don’t have Red Tide here in Key West. I cannot find anywhere in anything that Red tide has ever hit Key West. There is speculation that Red tide has hit the upper Florida Keys I am still looking into that, I am just down the road and have not heard anything. I have a bunch of friends pre fishing a tournament today “Herman Lucern Memorial” out of Islamorada (upper keys) and so far they are doing great.. — don’t listen to the media.